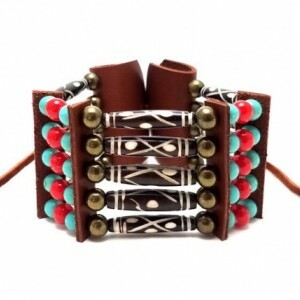 - Made from authentic buffalo bone hairpipe beads, Hematite stone, and genuine leather. - 100% Handmade by an artisan. 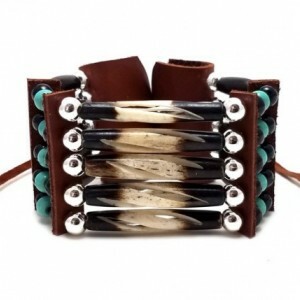 - Adjustable leather ties. - Excellent quality and craftsmanship. 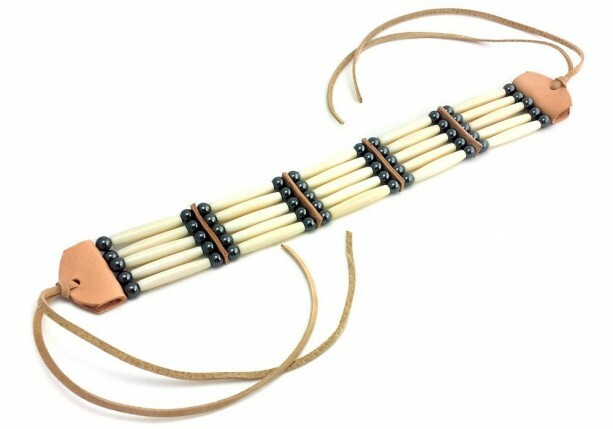 - 5 strand traditional tribal bone choker.